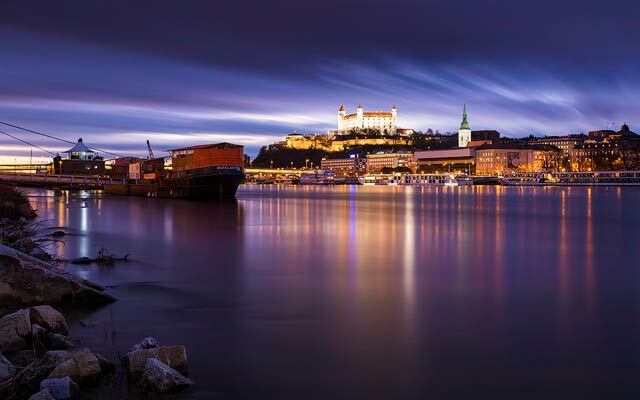 As a landscape photographer, my camera is mostly in my bag or attached to my tripod. I don’t take it down that often, even if I change locations. I just carry it already attached. But still there are situations where I would like to be able to have it attached to my belt or to my bag. 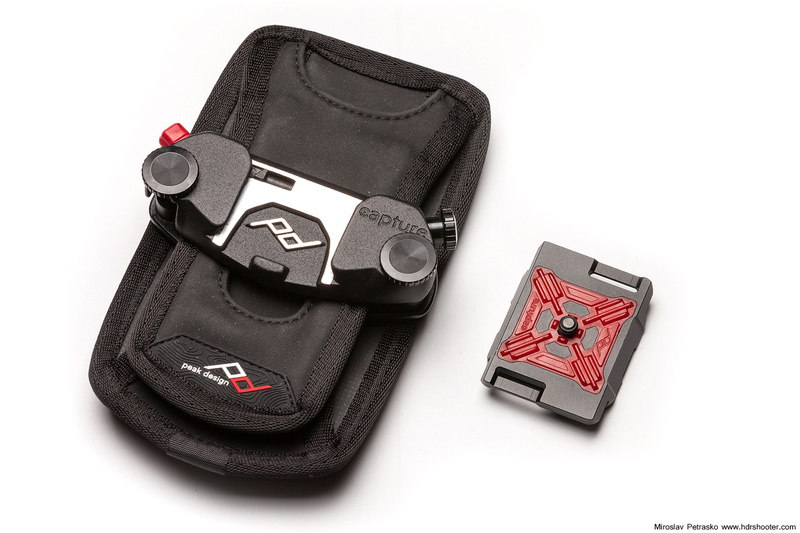 And exactly for those there is the Capture clip Pro v2 from Peak design. I got mine from their Kickstarter campaign, where I also took all their other gear, of which you can find the reviews also on this blog. The Camera clip arriwed first, so I had some opportunities to try it out. 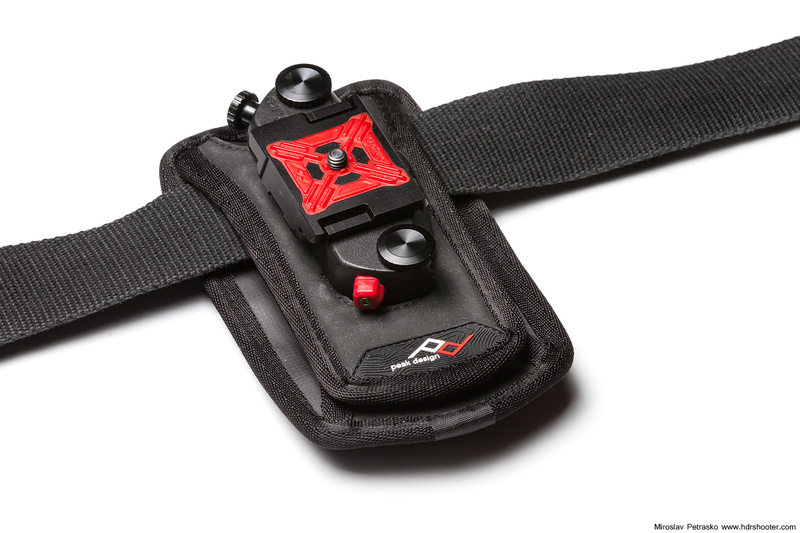 I will also mention the Pro Pad in this review, as it’s an additions to the Camera clip and has no purpose on its own. The build quality is super. I got the Pro version which is almost completely metal, with only the quick release being made from plastic. 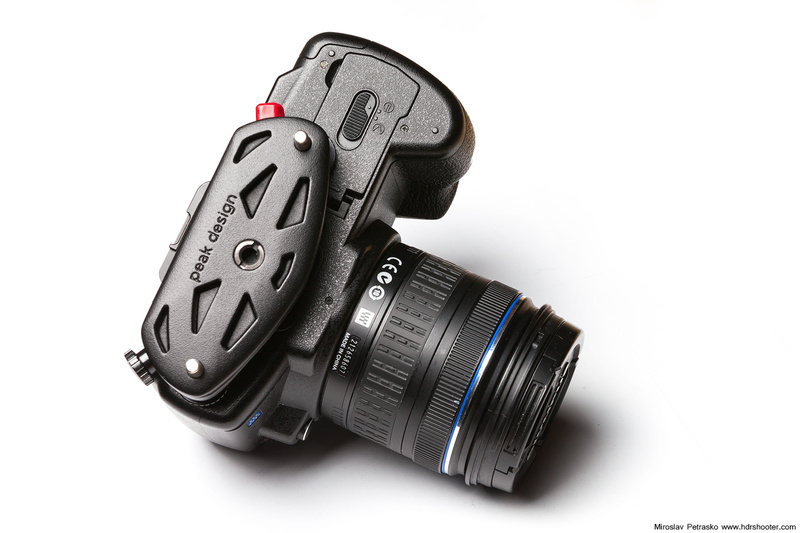 The quick release plate fits really nicely into it and there is a nice click when you slide it in. There are two safety measures to keep you plate in, one is a button that can be rotated to prevent accidental pressing. 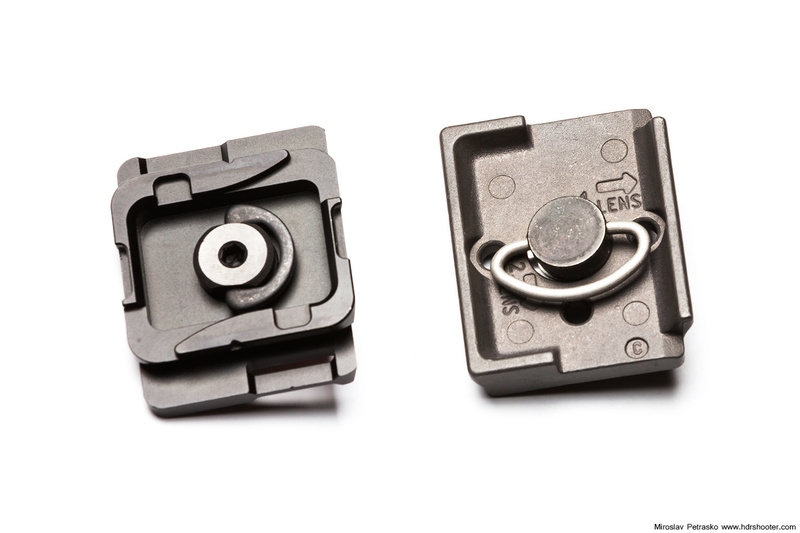 The second one is a wheel used to tighten a plate inside the clip, that holds the quick release plate in place. 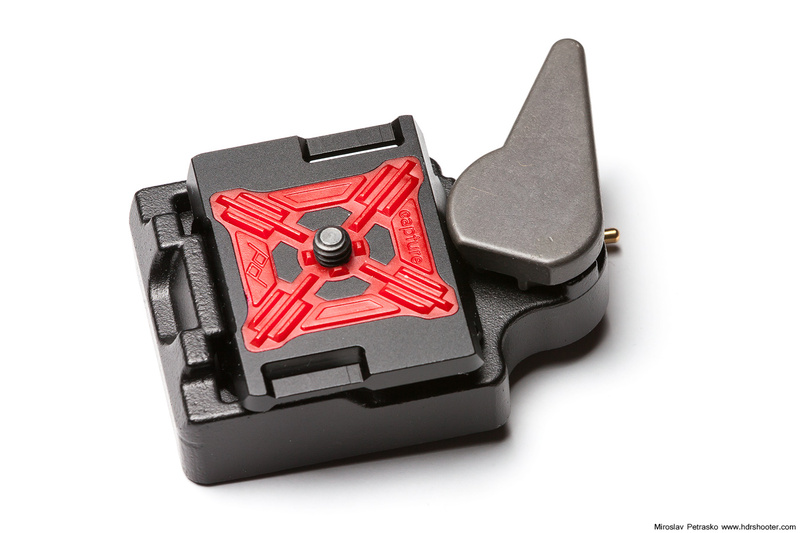 I got the dual place with the Capture clip, as I use a Manfrotto tripods, and this plate is compatible with Arca Swiss, Manfrotto and the clip. There is one downside, that is that it can be placed into the clip only in two orientations, instead of four. 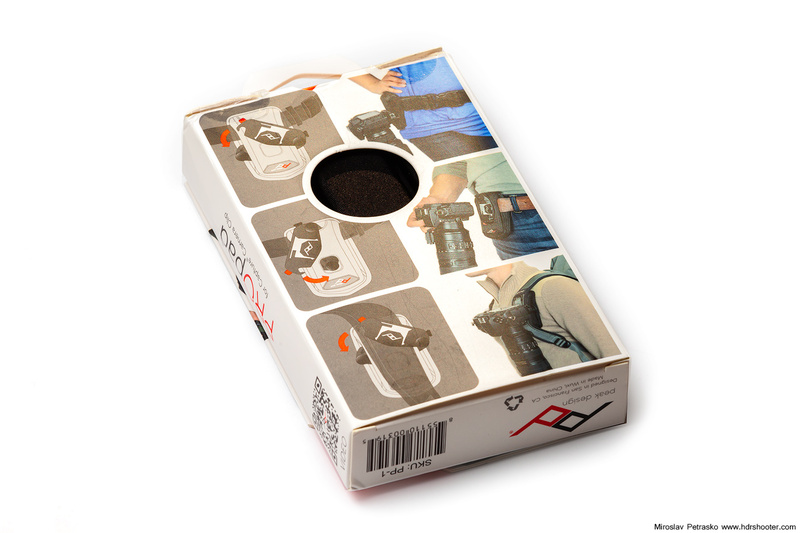 Also I got few problems with it while using it with my Manfrotto gear, but I will get to that a little later. 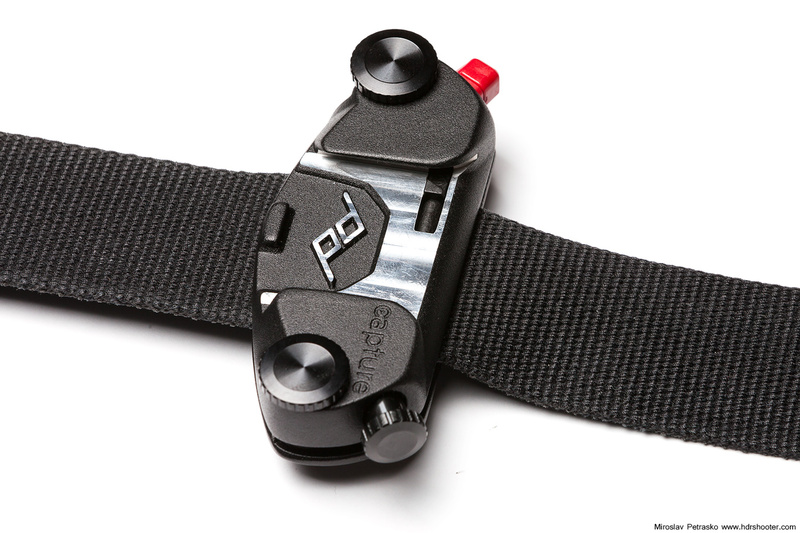 The clip is attached to your belt or backpack strap by opening it up, placing the belt inside and tightening the two screw. There are ridges on the clip with holes on the other part, so when you tighten it, it will not move at all. It is really stable. The heads of the tightening screws are quite large, so it’s easy to do this without the need for any tools. 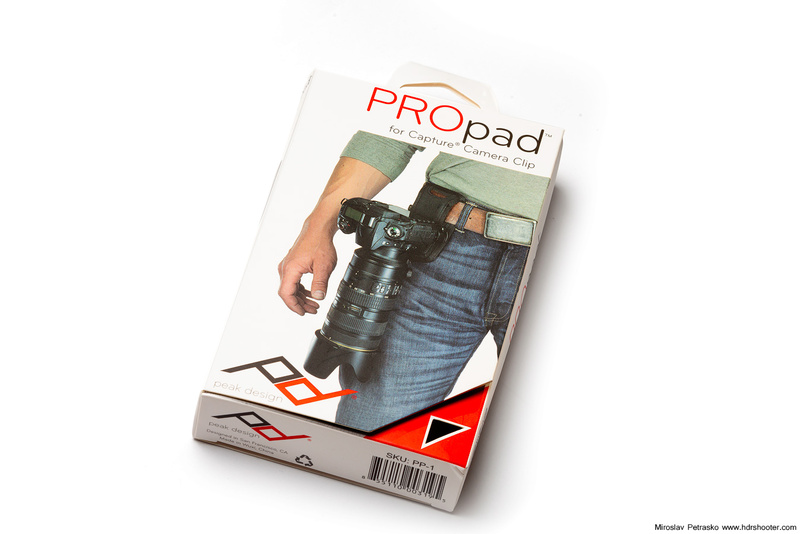 Together with the Capture clip, I also got the Pro pad. 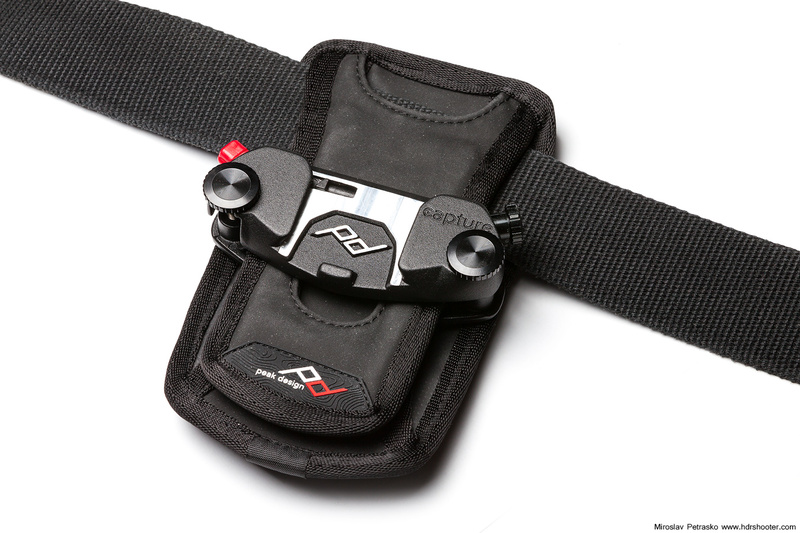 This is for when you want a little more padding while you are carrying a heavy camera on you belt or backpack. 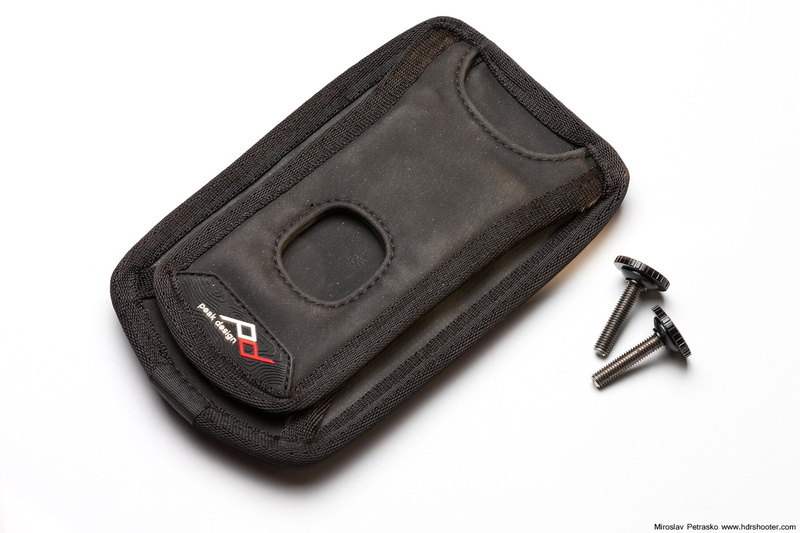 You also get a second set of screws with it, as the ones by default with the clip are too short to hold also the pad. 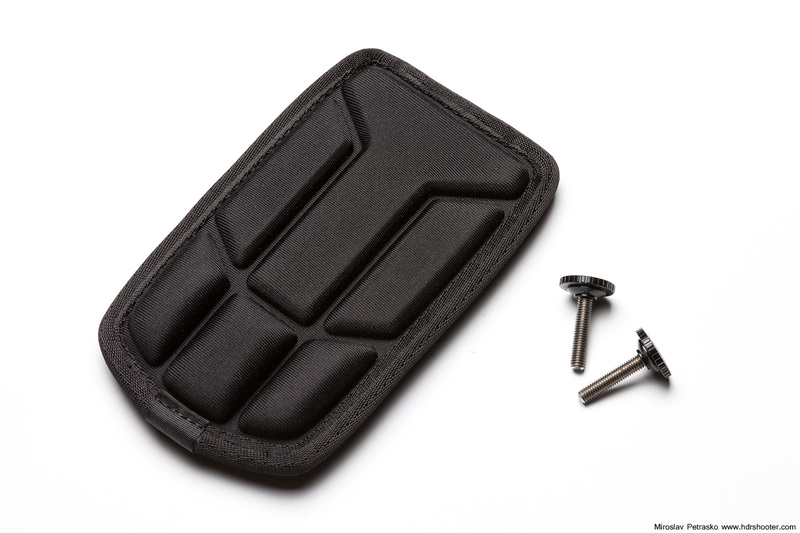 The pad is also made form quite a tough material, and the clip fits into it very nicely. 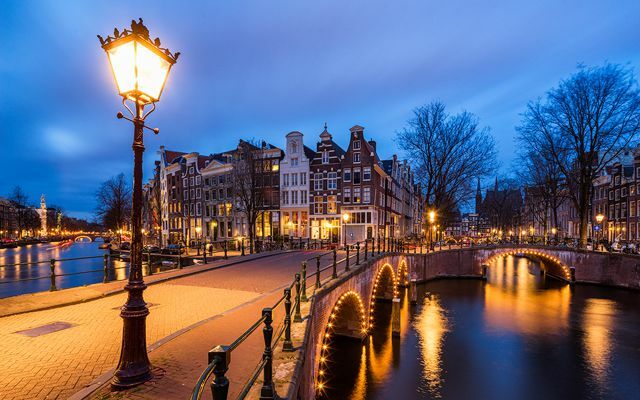 There are multiple ways you can use it, either vertical or horizontal, depending on your needs. You can see the different placements in the surrounding photos. 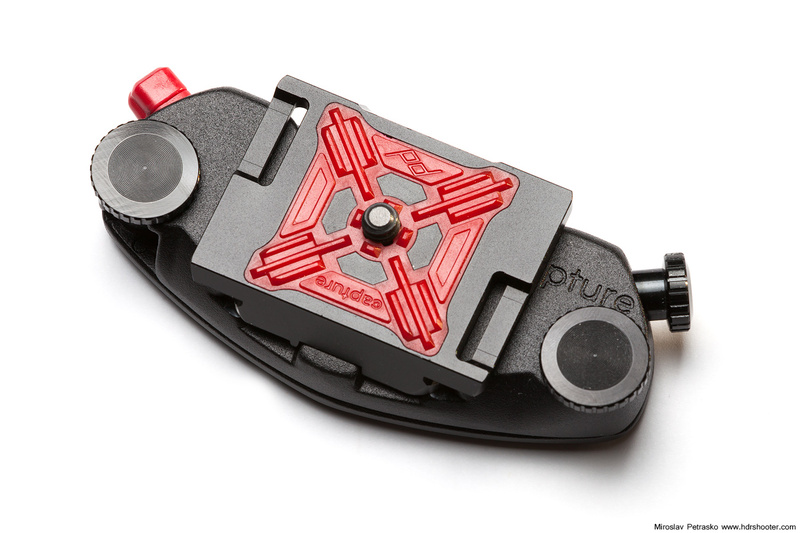 The guide suggest you use the longer screws only in some of the setups, but I would suggest using them all the time if you use the Pro pad. The short screws are hanging only by very little when used here, and it could happen that one accidentally loosens them. I think that it’s better to be safe than sorry. I tried all the different setups, using and not using the Pro pad. My feelings about it are mixed. I really like having the Capture clip on the strap of my backpack. As I use the Think Tank Slig-O-matic, that has only one strap, I can easily place it there. The camera than nicely balances the weight of the backpack and is very comfortable to carry. I even had no need for the Pro pad there. On the other side, having it on the belt was very uncomfortable for me. The placement was acquard, with the camera bumping on my leg. All the time I was also scared that I bump with my camera onto something and so damage it. The pro pad didn’t help much. 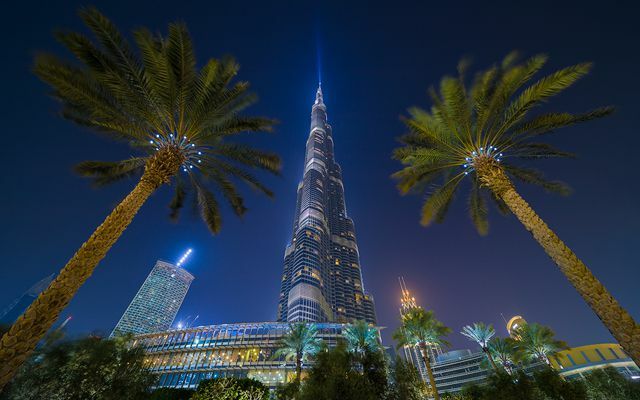 As it is wider, it is even more in the way, even if it pads you more from the camera. This is of course how I feel about it. 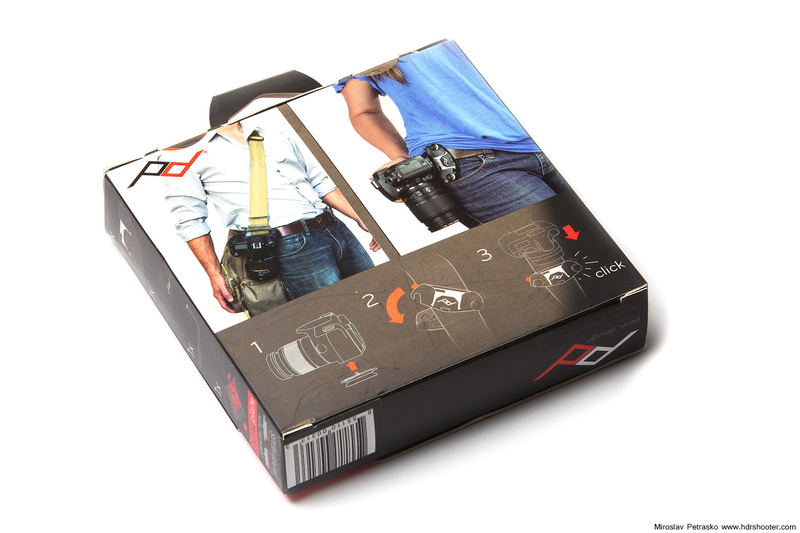 For you maybe hawing you camera hanging from your belt could be absolutely Ok. 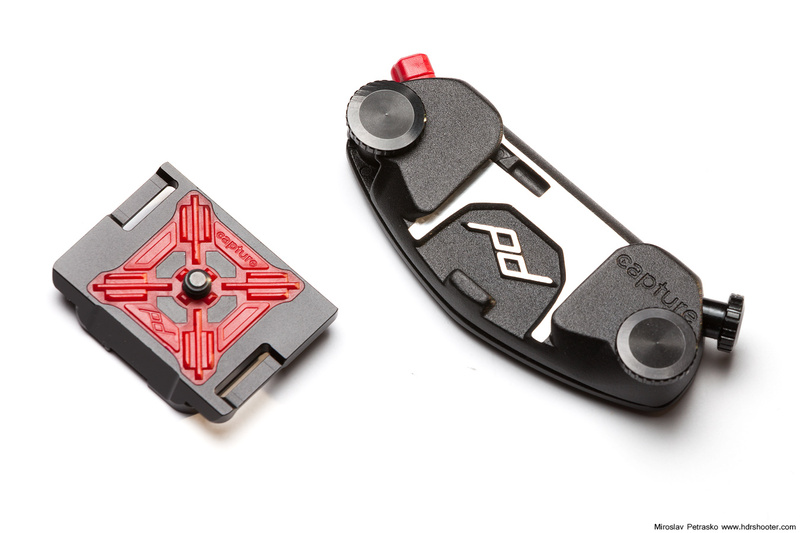 The Capture clip with the Pro pad do exactly what they are supposed to do, if you will use it that way, is a completely different question. As I mentioned earlier. 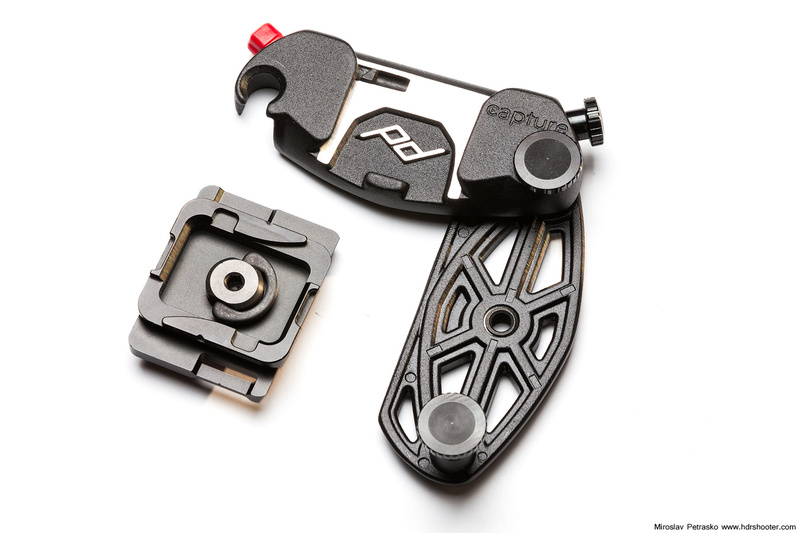 There is one thing I don’t like about the dual plate for the clip. As you can see, when I compare it to the classic Manfrotto plate, it’s a little smaller and it has two small holes from the sides, where the other has not. There is a reason for it. 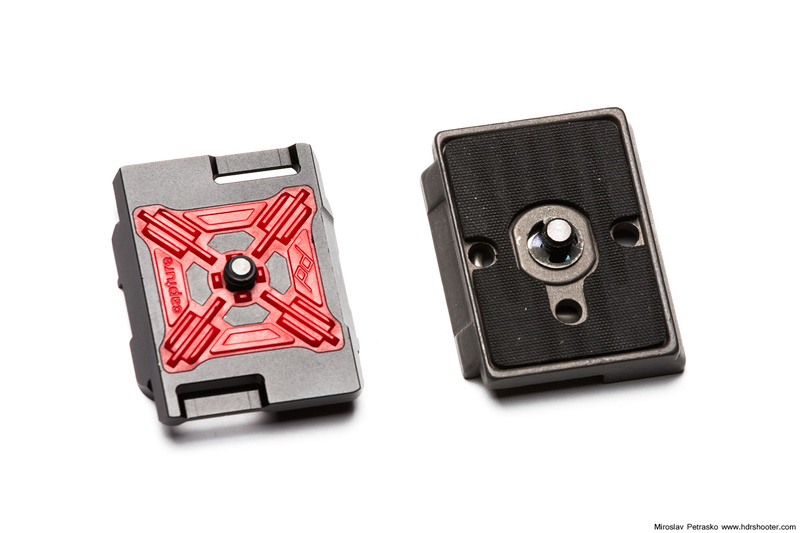 The quick release on Manfrotton head uses a small cylinder, which the plate has to press down, for it to close. With the Dual plate, this cylinder sometimes gets into the small side hole and it is not pressed completely. The only way to avoid this, is taking bigger care while inserting the place, and pushing it to one side. Strangely, I have this problem only with some of my Manfrotto gear. 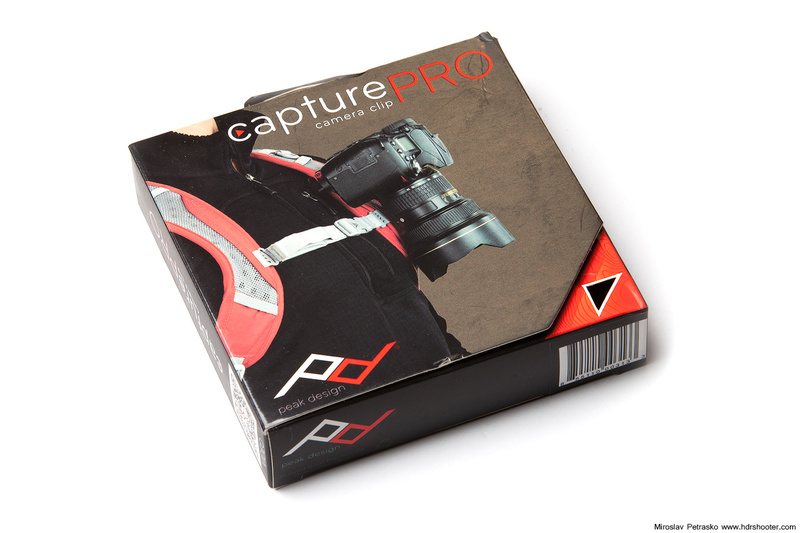 Overall, I like the Capture clip, and I find the Pro pad a little useless for my needs. As I said, that is much about personal preference. So if you think you need a way to be able to quickly store you camera and quickly have it accessible (especially if you don’t use the tripod that much), you should give it a try. For more information, please visit the Peak design site. View all my other reviews here.